Aurora looking south from Elk Island | Elk Island National Park, Alberta. Elk Island National Park, Alberta. 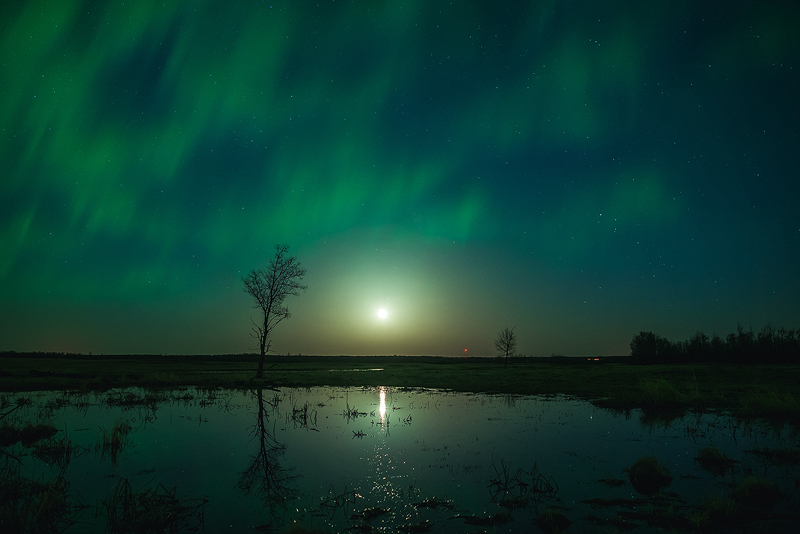 Northern lights seen from Elk Island National Park. I found this meltwater and the tree reflected perfectly. This image is part of a time lapse yet to be released.